Week 17 of the Russian Intervention in Syria: Does Erdogan Want War with Russia? There are plenty more indicators and warnings showing that an escalation is possible: the Geneva negotiations have been abruptly terminated, the Saudis are threatening to invade Syria and there are signs that the Syrian army is slowly but surely preparing an operation to liberate Aleppo from the Takfiris, creating a panic in Ankara and Riyadh (so much for the stupid notions that the Russians are not winning or that the Syrian military does not exist). In the meantime, there are plenty of signs that Erdogan’s entire “grand plan” for Syria has completely collapsed that that he has no more options left (please read the excellent analysis by Ghassan Kadi on this topic posted today as well as Pepe Escobar’s take on the same issue). 2) If Turkey invades Syria, Russia will act in strict compliance with international law. That means that she will demand an emergency meeting of the UNSC and that much will depend upon what the Council’s reaction will be. If the usual gangs of puppets “covers” for Turkey (which is by no means certain, in my opinion, at least not for very long, maybe a week or so max) then the Russians will then refer to their obligations to assist Syria under the 1980 “Treaty of Friendship and Cooperation” between the two countries (Russia being today the successor state to the USSR the treaty is still in force) and the 2015 “Agreement between the Russian Federation and the Syrian Arab Republic on thedeployment of aviation group of the Armed Forces on the territory of the Syrian Arab Republic“. For this reason, the Russians, far from being trigger happy, will undertake every imaginable effort to show that they did not initiate the war, even if that means letting Turkey enter into Syria, at least as long as the Turks stay close to their border and do not attempt to change the course of the war. If all the Turks want is a thin “security zone” inside Syria, I don’t see the Russians using military force to deny this to them. They will protest, vehemently, on a diplomatic level, and they will help the Syrians and Kurds, but they will not directly attack the Turkish forces. In conclusion, I want to mention one disturbing thing. 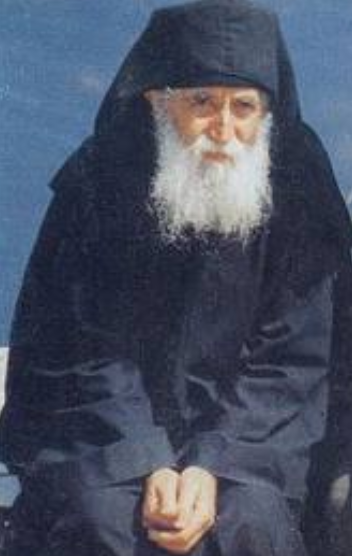 A Greek elder, a monastic named Paisios, whom the Greek Orthodox Church has glorified as a saint, was known for his prophetic visions. One of the most famous one was his prediction that Turkey and Russia would have a major war which would result in a complete break-up of Turkey and the liberation of Constantinople from the Ottoman yoke (if you are interested by the details, click here and here). Now I quite realize that in our times most people will immediately dismiss such things as meaningless nonsense, obscurantism, superstition, wishful thinking on the part of a “resentful Greek”, religious gobbledygook etc. But please keep in mind that between the 15th and the 20th century, Russia and Turkey have already fought 12 wars (!). That over 2 wars (2.4 exactly) per century and that the last one happened a century ago.